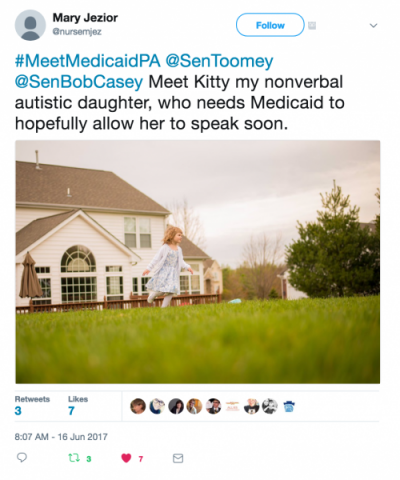 Recently, hundreds of parents, caregivers and organizations across Pennsylvania launched a Twitter campaign to introduce the children who rely on Medicaid for health insurance to the Senators who represent them in the U.S. Senate–Bob Casey and Pat Toomey. 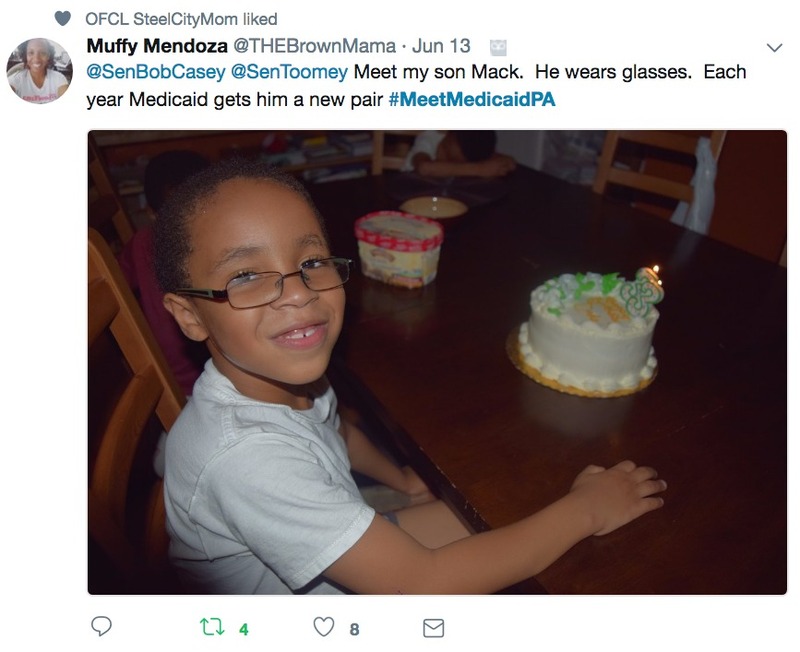 If you visit Twitter, you will meet dozens of Pennsylvania families who depend on Medicaid to provide their children the care and services they need and deserve. Just today, a local pediatrician shared her #MeetMedicaidPA story in the Pittsburgh Post-Gazette. Her family may sound like an unusual case, but the fact is, Medicaid is a children’s program used by families of all incomes. Her family isn’t alone. Meet Peter, who lost his father when he was five and now depends on Medicaid for emotional support. 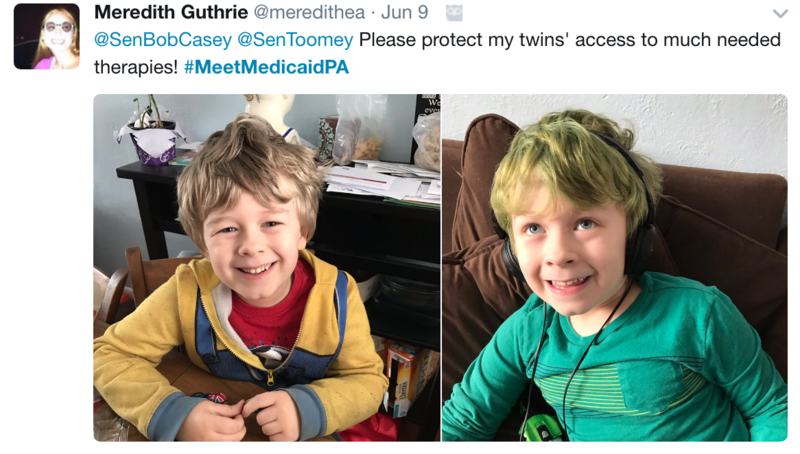 Meet Mack, who needs Medicaid so his parents can afford to buy him new eyeglasses, and Jacob, who uses Medicaid for his well-check visits and vaccinations. And there’s Kitty, who relies on the public health insurance program to help her find her voice. Caps and cuts, as included in the proposed U.S. Senate version of the House’s American Health Care Act , limit funds to states without impacting the factors that drive the cost of spending. Caps will not prevent epidemics like the Zika virus or opioid addiction. Caps will not stop the rapid rise in prescription drug costs. Caps will make it difficult for states to pay for any new, expensive cures that might help children live longer, healthier lives. In the end, caps may set children’s health back decades. 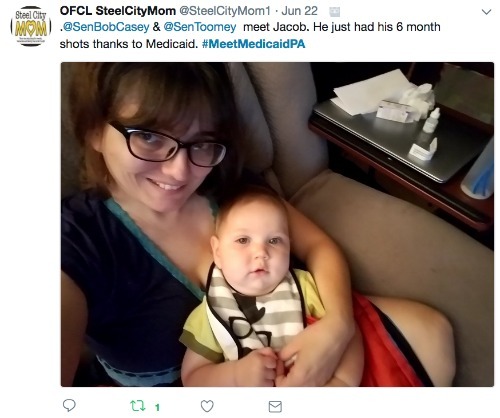 If your family relies on Medicaid, we ask that you share your story on social media channels, and stand alongside the families that have already introduced their children to us. 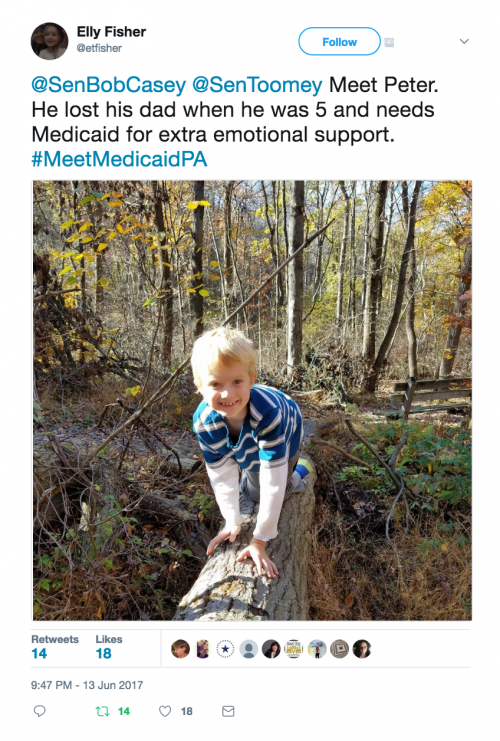 Then, join the conversation and retweet #MeetMedicaidPA messages and share the stories with your family and friends.